The perfect meshing of product, and service. 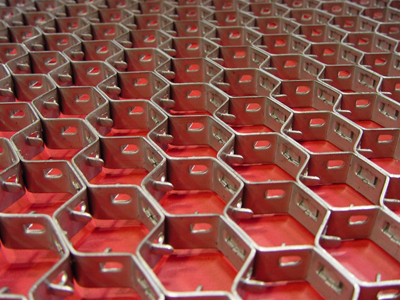 Since Hex Metal's flexibility allows it to be rolled, it easily conforms to circular shapes. It is ideal for lining Ducts, Furnaces, Reactor Vessels, Cyclones, Flue Gas Lines and other high temperature equipment of virtually any shape or configuration. Flex metal is the direct counterpart of Hex metal. It performs all the same functions in reinforcement of thin wall refractory linings, while its' design allows free form rolling to very small diameters. 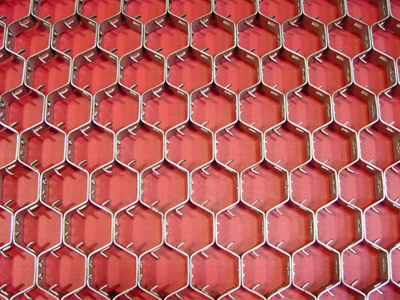 Hex metal becomes impractical when the section of plant being protected is of small diameter. The free rolling capabilities of Flex metal allows plant as small as 150 mm to be lined. Typical applications include Air Distributors, Cyclone Diplegs, Fan Cases, or any other plants where the practicality of free rolling material is beneficial to maintenance activities. Petro Wire's Armour-Anchors can be used in combination with Hexmetals / Flexmetals or as stand alone systems. 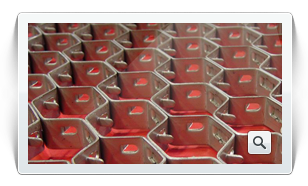 Wire Formed Anchors are configured to suit all light, medium and dense refractories in providing maximum support during refractory application and maximum retention of refractories during plant service. Consideration is given to expansion, heat transfer, method of application, environmental conditions and design of host unit for individual applications. Standard designs are defined in our data sheet catalogue. Anchors are designed for Manual and Semi-Automatic Welding. The range of applications is limited only by the structural strength of the anchor section. The maximum section size of wire formed anchors is 3/8" (9.5mm). Typical applications include most process plant including furnaces, ductwork, heaters or reactors. 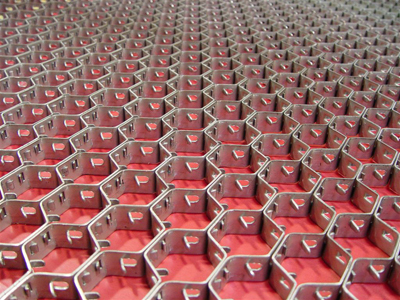 Plate Formed Anchors are divided into Metallic Anchors and Ceramic Supports. 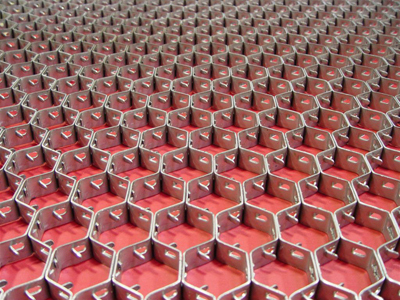 The Metallic Anchors are designed typically for ceramic fiber and for light or medium weight refractories, again configured to provide maximum retention during plant service. The Ceramic Anchor Supports "C" Clips are designed to retain most standard pattern ceramic anchors (Scissor Clip types are available as wire formed) Mainly for light and medium weight duties, their typically small cross section provides low heat transfer with section size providing easy manual or semi-automatic welding. 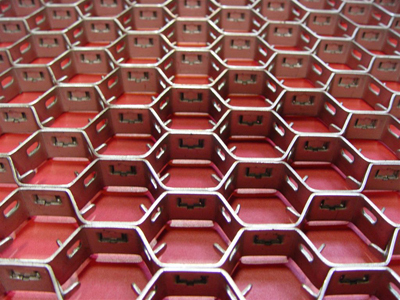 "C" Clips retain ceramic anchors used for anchoring moldable refractories. Rod Formed Anchors / Studs (larger than 3/8" diameter) Heavy weight anchors are used only in the most arduous conditions. They are designed to provide support and attachment of refractory pre-cast sections to plant steelwork, and provide an effective anchoring system in high stress situations. Their design shape minimizes and controls heat transfer and thus provides maximum strength at elevated temperatures. Refractory lining situations that have attendant high live loads occur in plant such as Rotary Kilns, where deep roof and side wall lining of dense refractories require maximum support during operating conditions or heavy weight pre-cast blocks are retained by bolt through, weld on and slip on systems. As you can see, Petro Wire offers many options for your most technically demanding needs.